A few years ago I had the opportunity to sculpt in clay from live models. 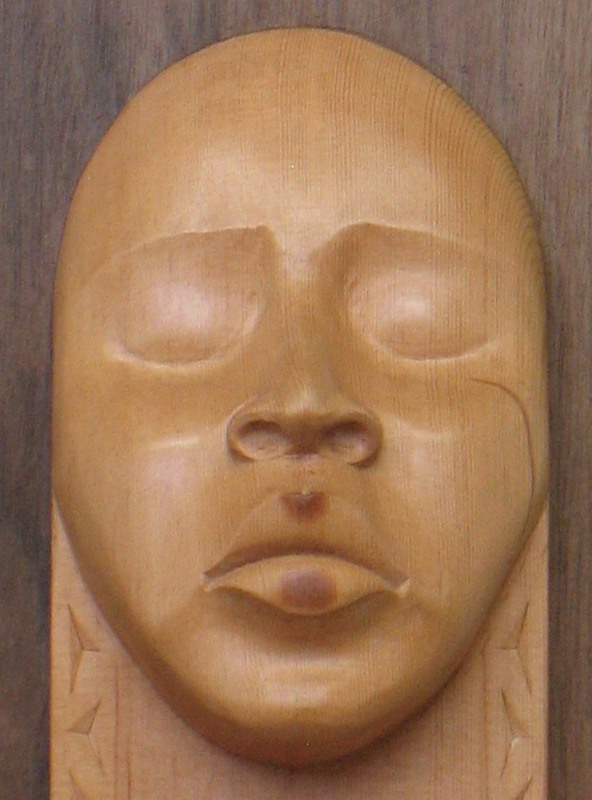 While working on the modeling of a lovely older African American woman, I admired and vicariously caressed her face, contemplating attitudes and assumptions inbred into the dominant culture about beauty, race and age. 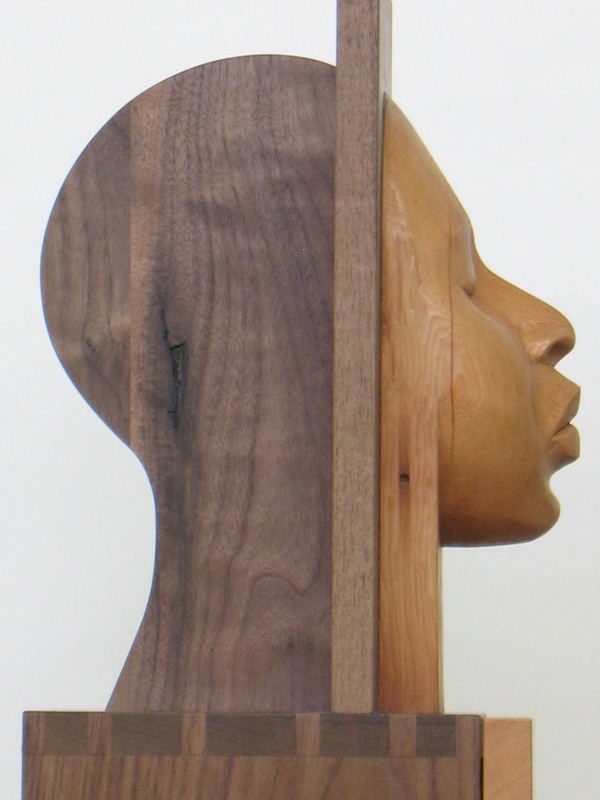 I later reinterpreted the sculpture in wood. 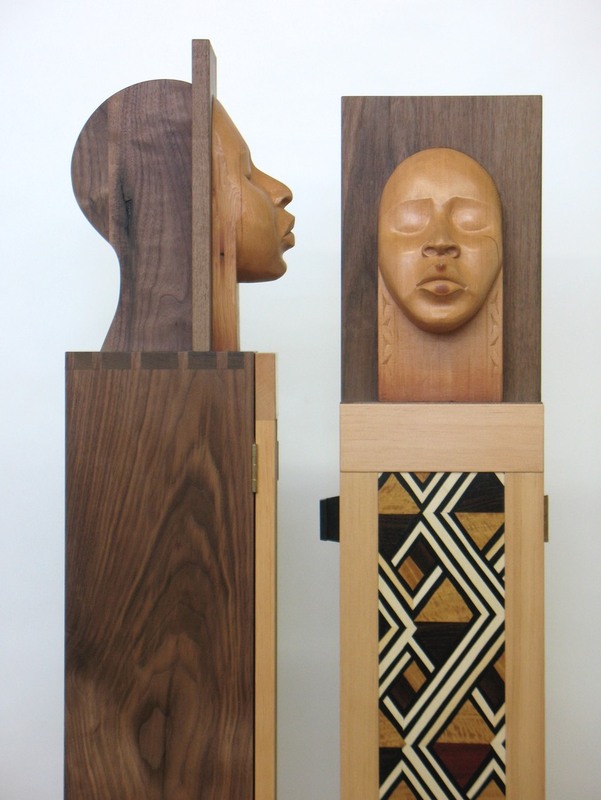 Committed to functionality, I placed her face on a cabinet/pedestal fronted by a door with marquetry inspired by Congolese kuba cloth. 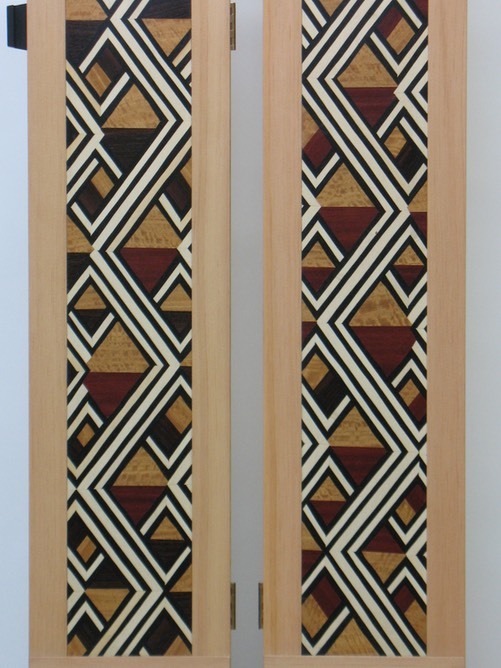 Kuba cloth is notable in having no exact repeats in its intriguing bold patterns. 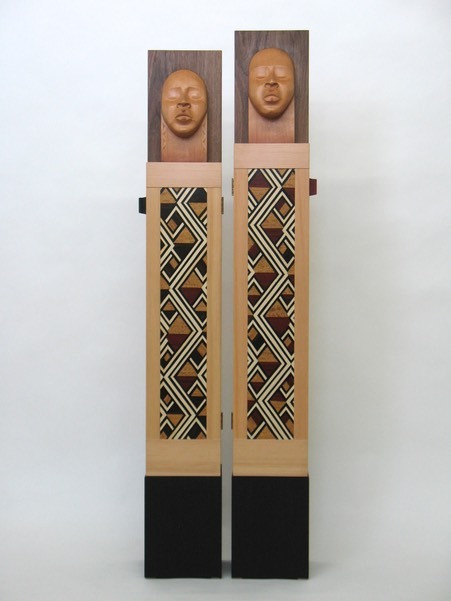 Old growth fir, walnut, ebony, bloodwood, painted MDF, marquetry veneers of ebony, bloodwood, satinwood, holly, black dyed wood.